Ana Paula Pereira Paiva is an assistant professor in the Department of Chemistry and Biochemistry of the Faculty of Sciences of the University of Lisbon (DQB-FCUL) since 1996. 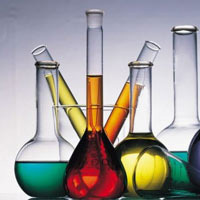 Her scientific interests lie in the area of ​​liquid-liquid extraction applied to hydrometallurgy. He obtained his doctorate in chemistry at the University of Lisbon in 1996, having been assistant (1989-1996) and assistant intern (1987-1989) at the same institution. He has assumed the responsibility of several curricular units of the DQB, emphasizing Fundamentals of Chemistry and Applied Organic Chemistry in the most recent years. It has recently ended the guidance of a doctoral student (2012-2016). She has already supervised a post-doc student (2004-2008), six master's theses, eight undergraduate theses (4-5 years) and ten undergraduate projects (3 years). She is the author or co-author of 35 scientific articles in international journals of the specialty, and of 26 articles in proceedings of international conferences with scientific arbitration.